deadfrog.net » Blog Archive » Begging for a picture. So Jon loves to read the blog blog… Here’s a picture just for him. 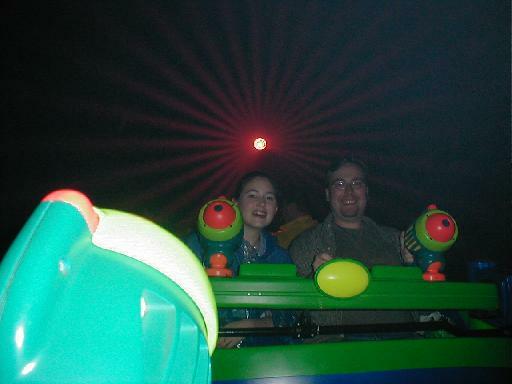 Disney 2002, at Epcot, on the Buzz Lightyear ride. This entry was posted on Monday, November 10th, 2003 at 4:28 pm	and is filed under Photography. You can follow any responses to this entry through the RSS 2.0 feed. You can leave a response, or trackback from your own site.